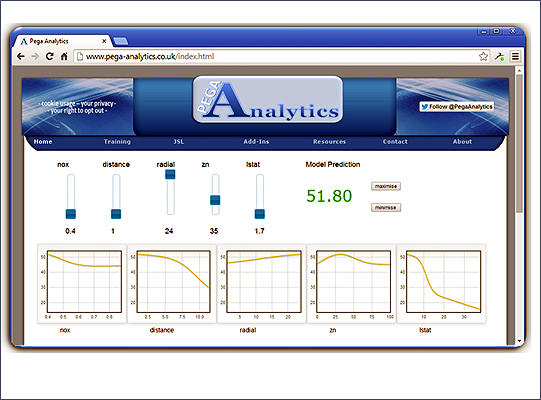 This is an add-in that aggregates various model diagnostic information into a single tabbed window. In particular, the add-in acts as a single place for exploring residuals (normal probability plots, Cook’s distances, residuals versus predicted values and predictor variables) as well as investigating the effect of performing a transformation on the response. 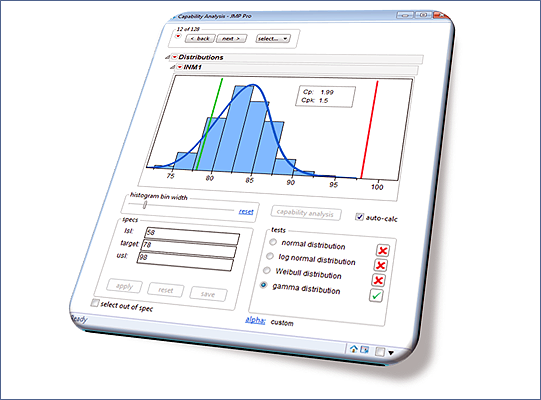 This add-in produces a graphical rendition of a process capability study with capability indices superimposed on the histogram output. The add-in automatically performs distribution fitting and provides a user interface designed to make it easy to navigate a large number of variables. This journal contains scripts that deal with the individual steps associated with performing a Gauge R&R study. In particular it deals with the challenging situation of creating a regular JMP table based on a study formatted for use in Microsoft Excel. Tasks can be performed step-by-step or by a single-click. Final results are aggregated into a single report window. This application is designed to have an “industrialised” user interface that is used with a PC connected to an online balance. The software handles communication with the balance and performs automatic data capture. This application investigates moisture equilibrium states based on packaging criteria and then implements a moisture-corrected Arrhenius equation that explicitly takes account of the effect of relative humidity on degradation rates. Various kinetic model forms are investigated and automated model selection is performed with the provision of performing in-depth model diagnostics including the use of bootstrap methods to investigate confidence intervals and to estimate shelf-lifes. This application supports the management and execution of consumer product tests. The software presents a clear workflow using a traffic-light system to convey current status. The workflow guides the user from initial definition of a product test through to design, data capture and analysis. Ambr is a system for microbial fermentation and mammalian cell cultures. Pre-sterilised disposable bioreactor vessels can be controlled by an automated workstation to enable execution of experiment runs. The Ambr system provides individual control for each vessel. Data is automatically collected and stored in a complex file structure. 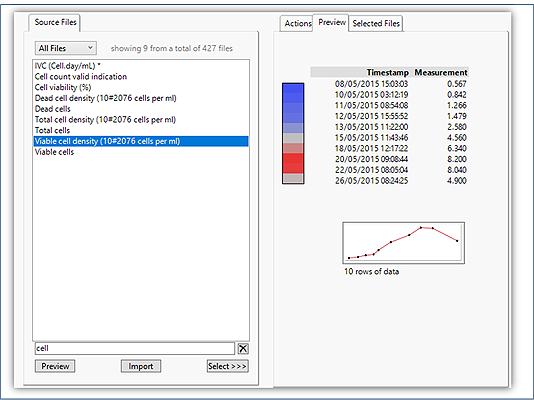 This add-in provides a mechanism for importing the data from an Ambr Bioreactor System into JMP. 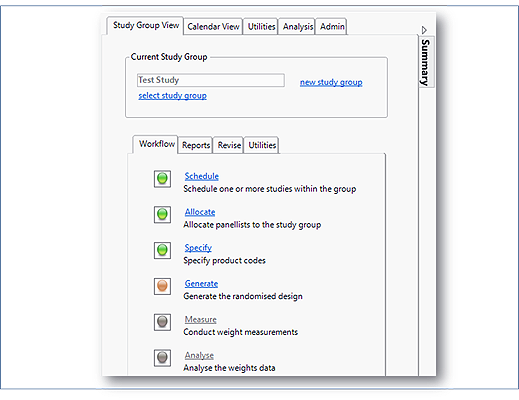 This is an example of a total new platform implemented in JMP. 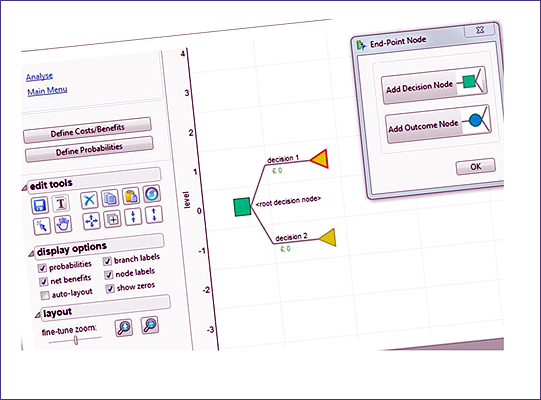 The platform provides a visual editing environment for constructing decision trees. Once constructed the tree can be analysed to determine optimal outcomes. We have developed a number of themed dashboards for example, SPC and Impurity Monitoring. The dashboards provide aggregated layout of related content. 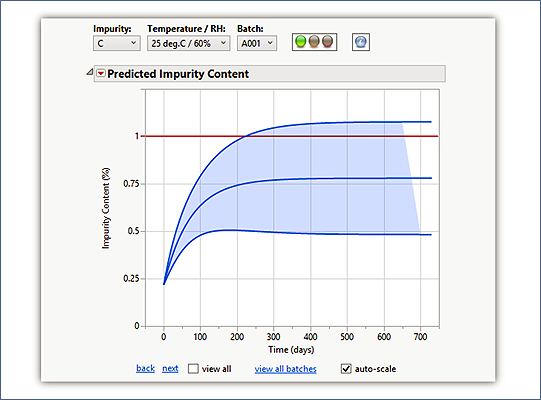 For the illustrated dashboard (Impurity Monitoring), colours from the goal plot are applied across all of the graphical output to provide a consistent traffic-light model for each impurity. The custom toolbar allows further interactions and drill-down of the dashboard content. 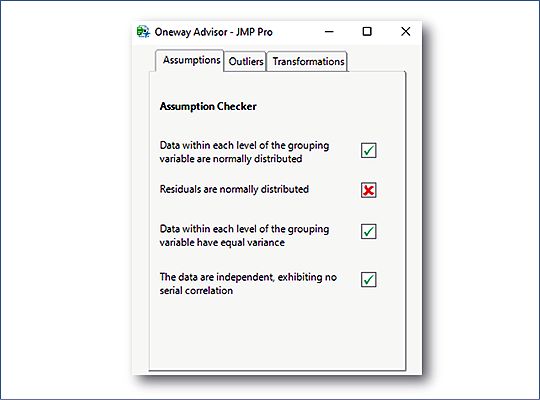 This add-in performs automatic checking for a oneway analysis of variance (the add-in automatically detects any windows that contain oneway analysis output). 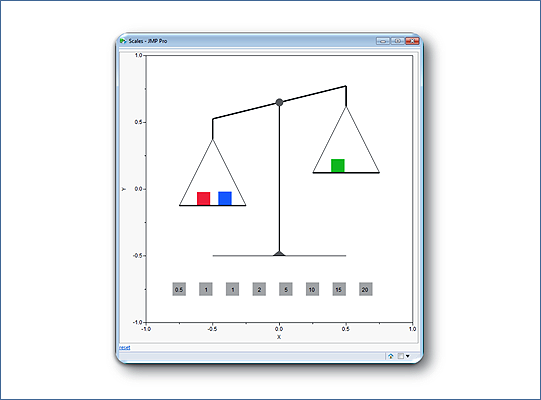 Results are presented using a simple graphical icons. But the icons are clickable and this allows for detailed drill-down to understand the context of the tests. This add-in imports data generated by Yokogawa industrial instrumentation. 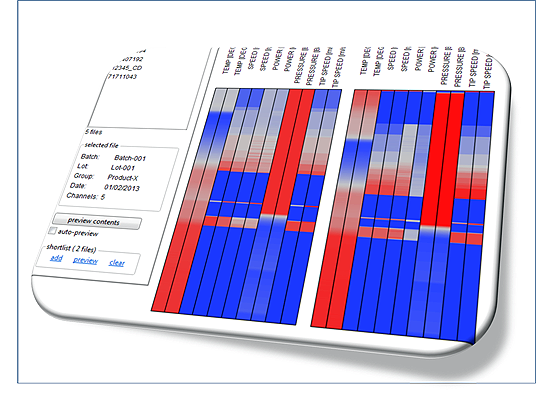 The data contains high-frequency process data which can be previewed as a cell plot using the add-in. The cell plot acts as a “fingure print” for the process and allows for rapid anomaly detection. We have performed a number of projects that contain elements of Monte Carlo simulation. 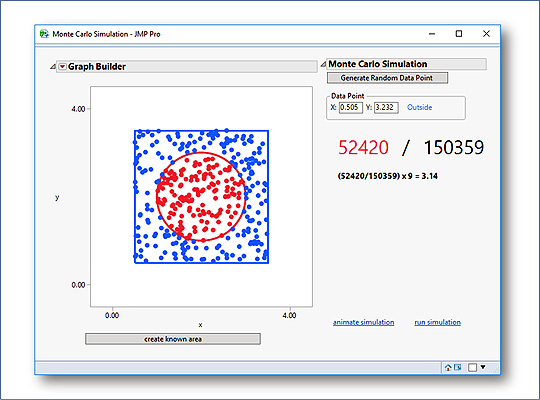 This software being illustrated is a simple demonstration of the concept of Monte Carlo simulation and is used for educational purposes (to illustrate the use of simulation for problem solving and also for illustrating the use of the JMP scripting language). 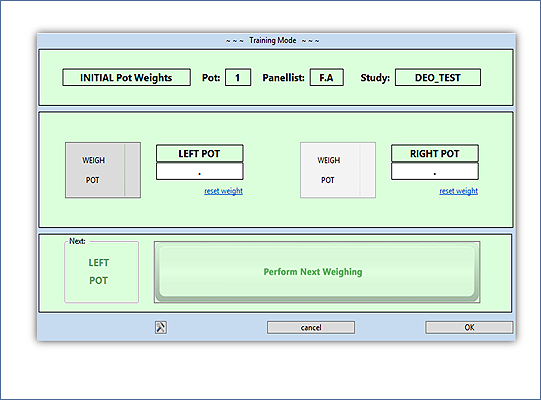 This is an interactive simulator that allows one or more unknown weights to be measured using a set of scales. 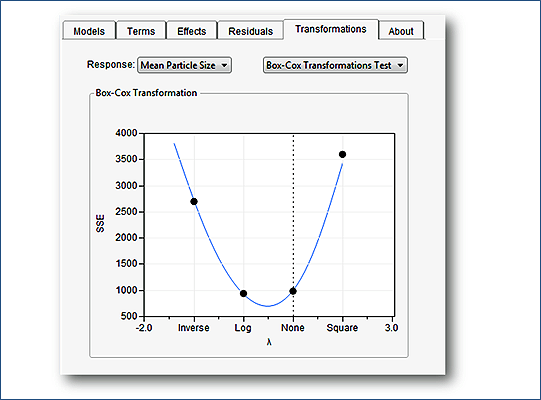 The simulation was inspired by a talk given by Stu Hunter and can be used to illustrate the effect of propagation of variation as it related to design of experiments. The software is used in workshop situations. Originally for DOE workshops, it can also be used for simulations in relation to measurement systems analysis. 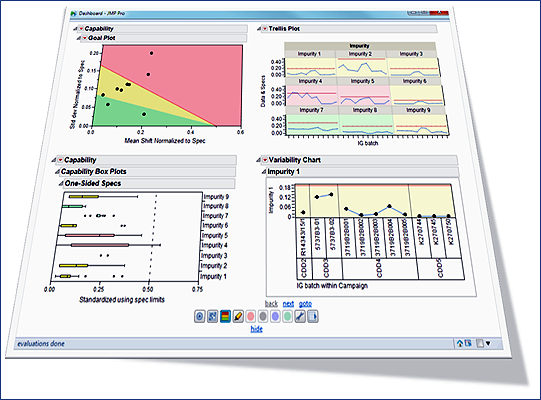 This is proof-of-concept software to show selections performed on JMP data can be used to build queries that are executed on external data sources. 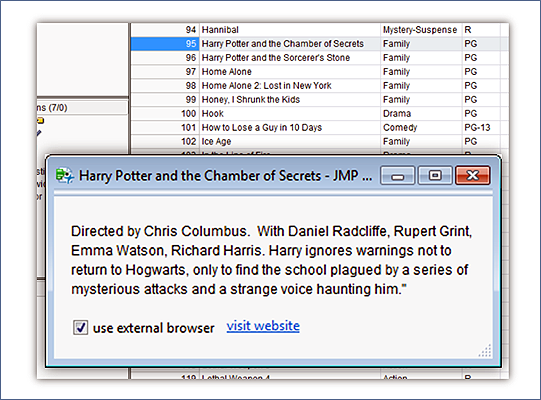 Specifically, a query is conducted to interrogate the IMDB internet database. It is a dramatic demonstration, and remarkably fast! 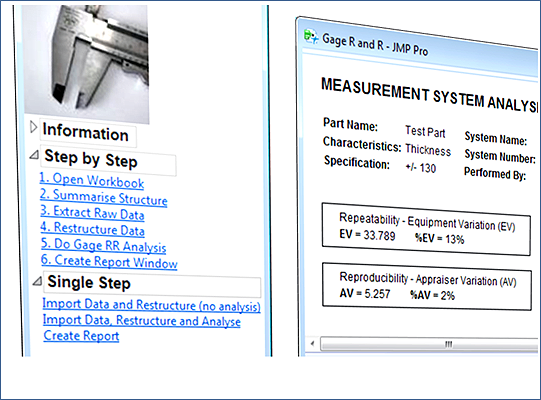 This add-in takes models built using JMP Pro and automatically constructs web pages that contain the embedded models. Users of the web pages can interact with the model using custom “widgets” – the default templates support use of JQuery components.